(LU) (Santo Domingo) 1996 - 1998. Photos. Framable Color Prints and Posters. Digital Sharp Images. Aviation Gifts. Slide Shows. 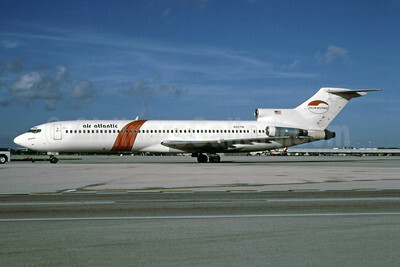 Air Atlantic Domincana - Falcon Air Express Boeing 727-224 N32719 (msn 20388) (Falcon Air colors) MIA (Bruce Drum). Image: 103187.